Trinity School of Medicine's AMSA Members Provide Health Screenings at St. Vincent "Glow Run." 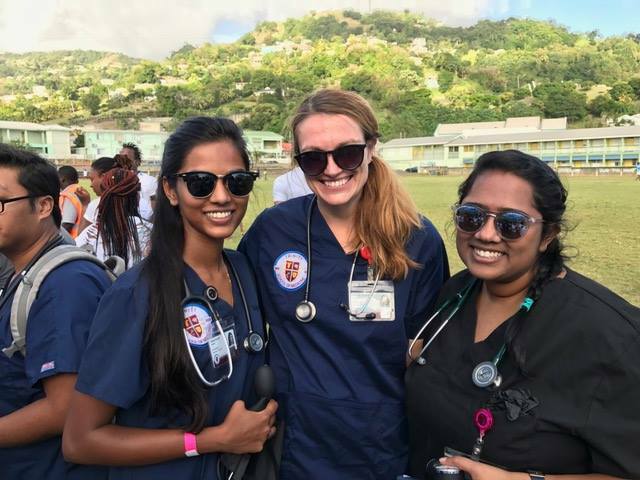 Trinity School of Medicine's American Medical Students Association chapter recently took part in providing fitness assessments for participants in the first ever Glow Run, a night-time running event that recently took place on St. Vincent. The fun-run had its participants decked out in glow sticks, as well as irridescent and UV-reactive paints similar to the Color Run phenomenon in the US. 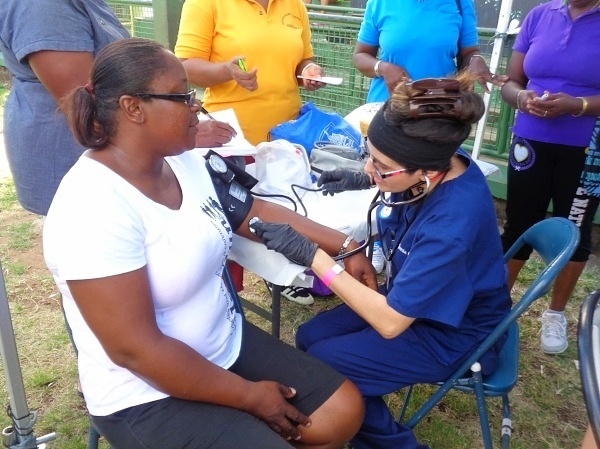 The event, hosted by Islandwide Fitness, was for diabetes awareness, a chronic issue for St. Vincent. Participants took off from the Richmond Hill Playing Field on Murray’s Road and moved on towards the SOV Restaurant in Villa. Before their departure, all runners were given medical checks for both blood sugar and blood pressure. 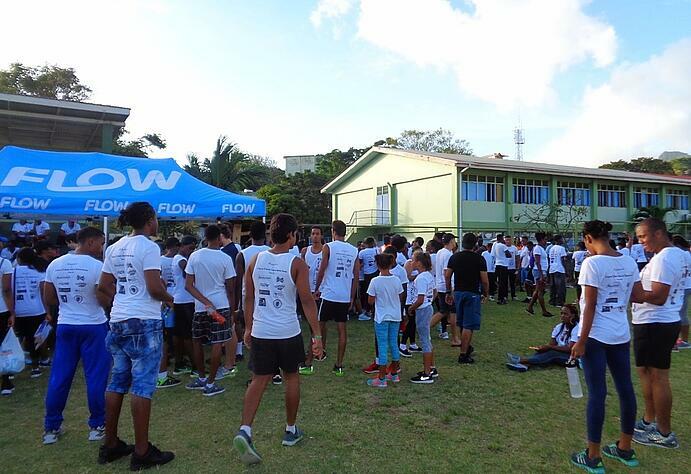 Keyon Constance, director of Islandwide Fitness, said that these fitness checks were integral to the conducting of the run. 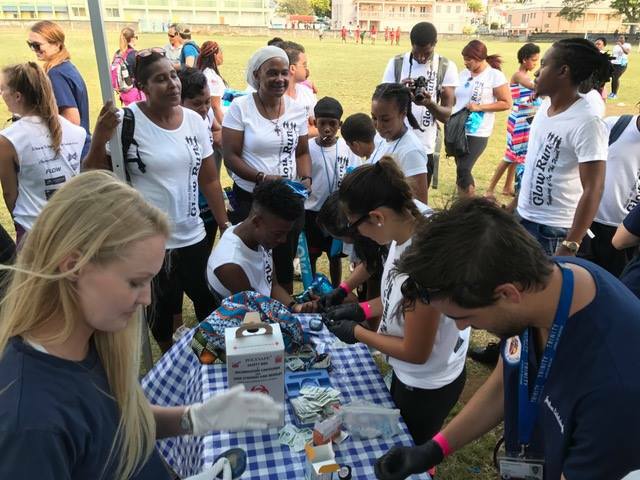 “The twenty-five students from Trinity were placed in total control of administering the health checks,” he said, “and from what I’ve seen, our runners were excited to do them and find out what their numbers are.” Mr. Constance held the event to give locals a fun way to engage in their health and well-being. Second term student Rachael Cotton specifically appreciated the experience, “Today’s work is meaningful for me, personally. Part of my career goals is to work with Doctors Without Borders. 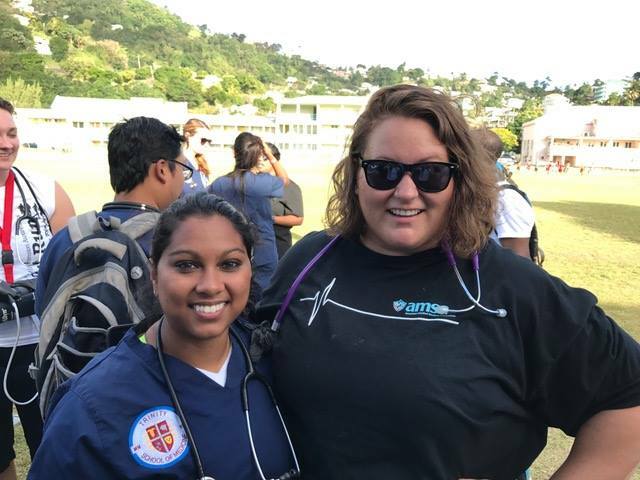 One the main things that they do is go to countries and areas which are underserved to raise awareness about the chronic, preventable issues.” She continued, “There were some people here today who have never had any screenings at all. To open that door for them is a way of making sure they’re keeping their health on track.” Rachael lauded the repetitious nature of the exercise where one student could check up to twenty people in a single afternoon and was adamant that, with such activities, the students were educating themselves to become good advocates for healthcare as well as learning how to remain sharp and on task through repetitive but nonetheless critical tasks they will inevitably encounter in clinical settings from their rotations on into their residencies. 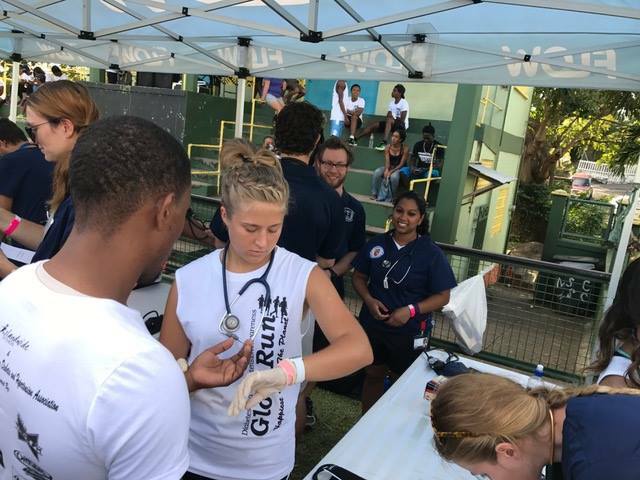 Islandwide Fitness and Mr. Constance were keen to note that they want to continue to expand these events and what they offer as far as health management, and that expansion would only be enhanced by the continued enthusiastic, valuable participation of Trinity School of Medicine's students.